Join us at the BronxArtSpace for a home-grown tale of radical social change in the Bronx: At Home in Utopia (2008). 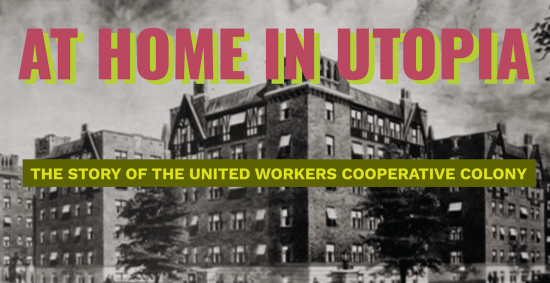 In the mid-1920s, the “Coops” (United Workers Cooperative Colony) was an epic social experiment that created housing for 2,000 Jewish immigrants in the Bronx. This heartfelt look at how the residents practiced the utopian ideal of an equitable and just society will be followed by a discussion of current efforts to grow affordable housing in the Bronx — and how historic preservation plays into that effort. Tickets are $5 and can be purchased at the RSVP link below. Get them before they’re gone!